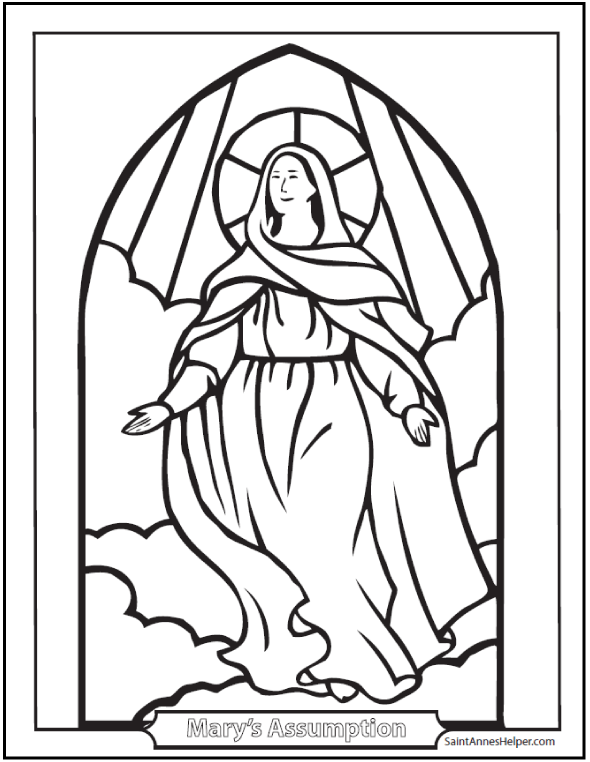 Oodles of simple and difficult Catholic coloring pages to print! 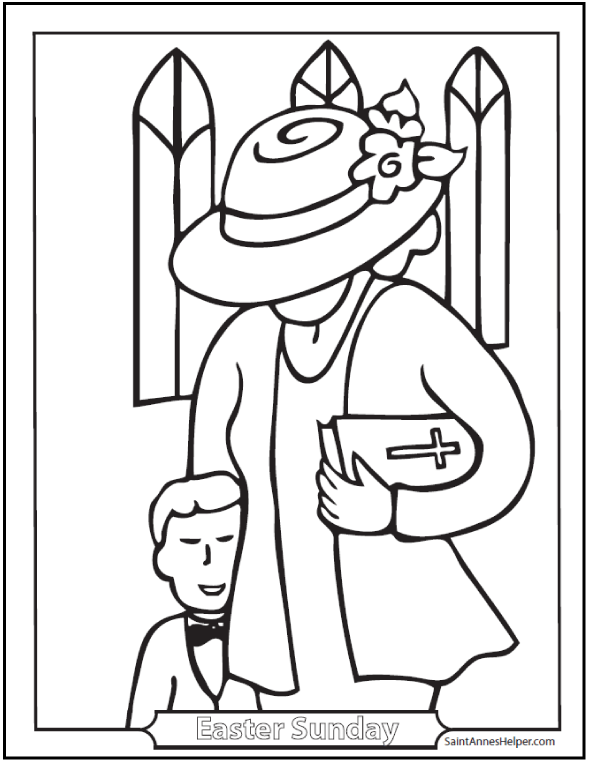 St. Anne's Helper has free coloring pages with Catholic themes to print to make your own custom coloring book. 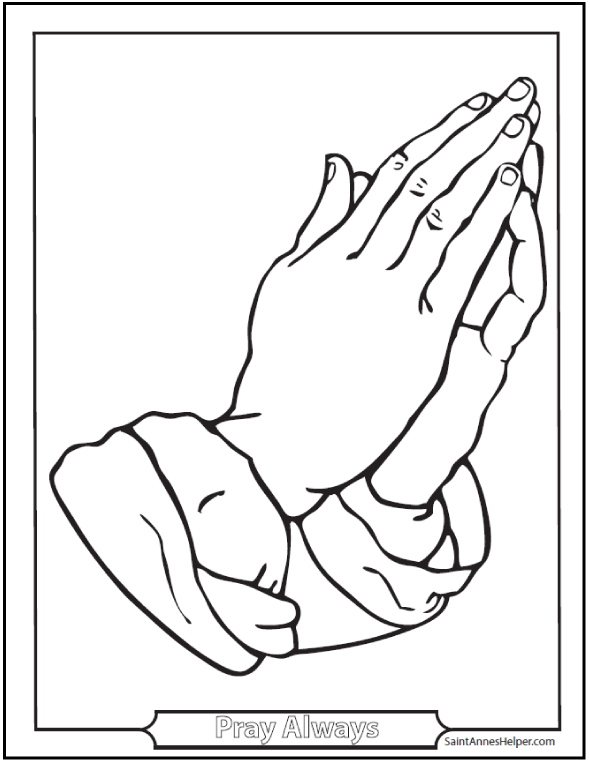 All of the coloring pages shown on this site are free. Or you can buy them all in one download. 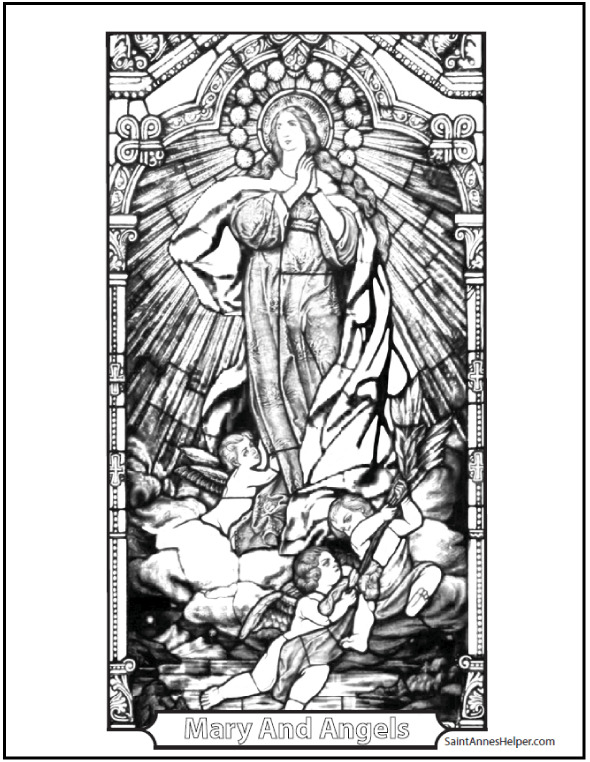 There are also many other themes in the download. See samples below. 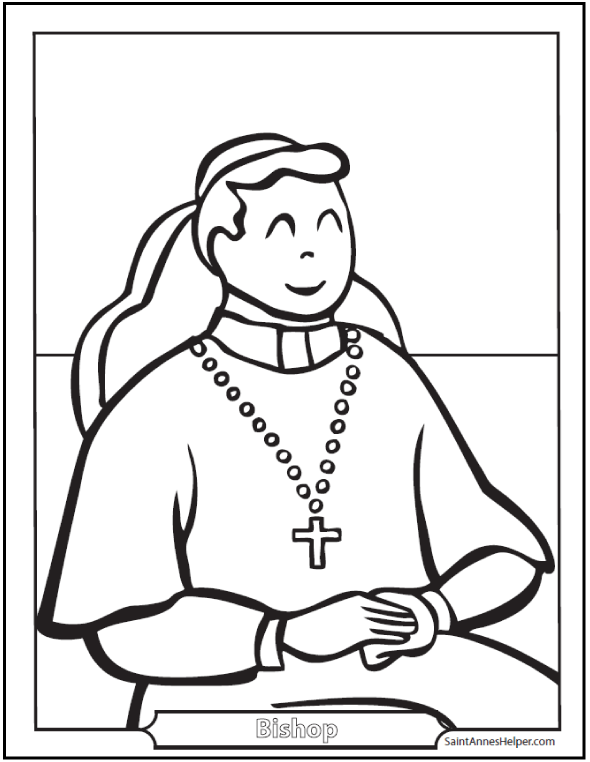 Catholic catechism class comes alive when you have printable Catholic resources for the like Rosary, liturgical and saints coloring pages for teaching the catechism, saints stories, and Bible stories. 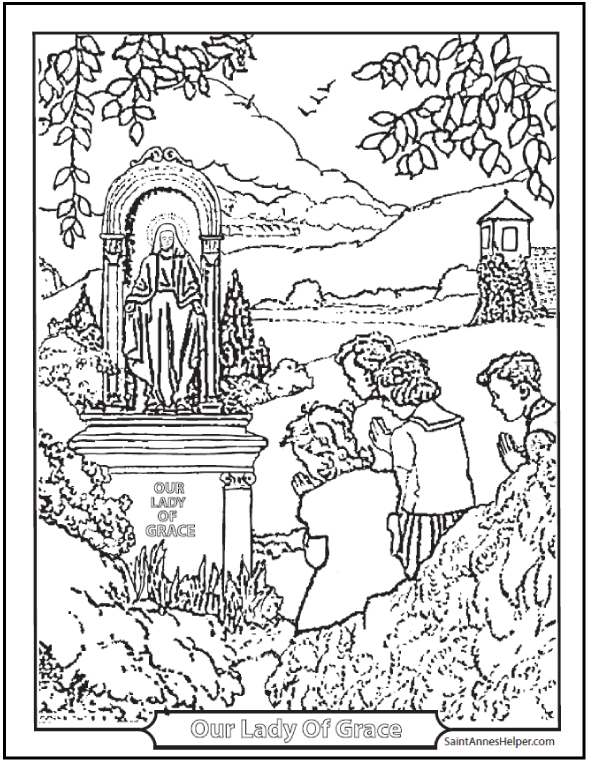 Holy days, feast days, catechism class, name days, and birthdays are great times to have a Catholic coloring book. 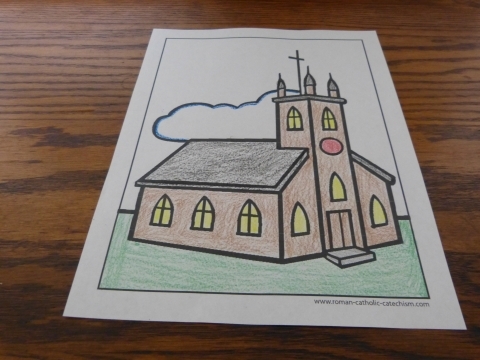 Children love coloring pictures of their favorite saints and seasons. 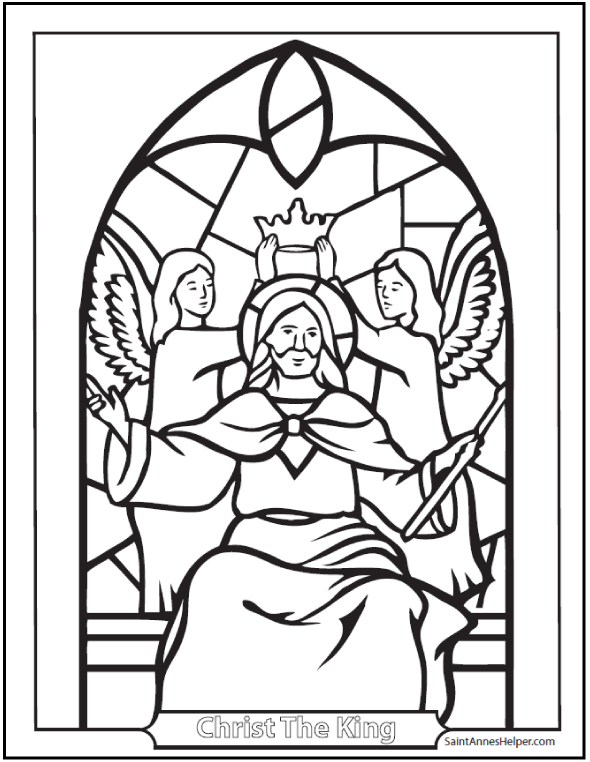 As you are teaching about Advent and the coming of Jesus at Christmas use the Rosary and Joyful Mysteries coloring pages; Lent use the Sorrowful Mysteries pages; Easter and Pentecost use the Glorious Mysteries. 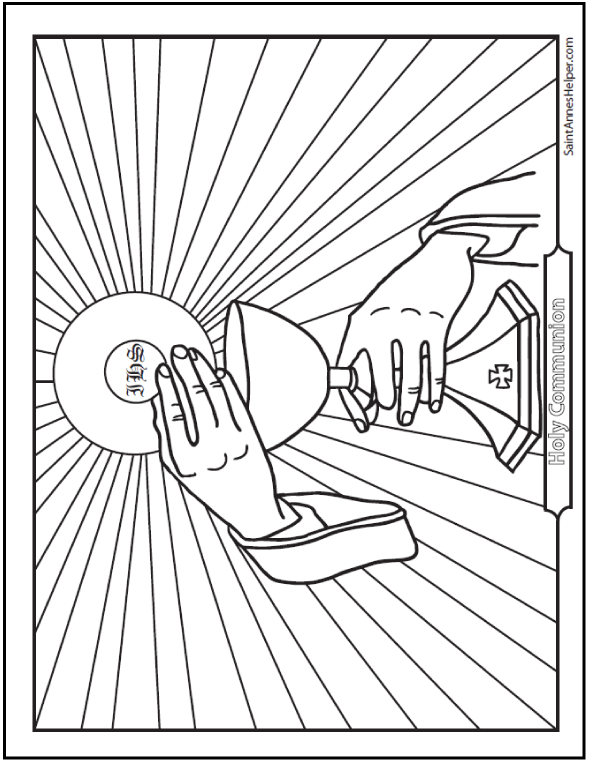 When you are teaching about the Ten Commandments you can use the Bible coloring pages. 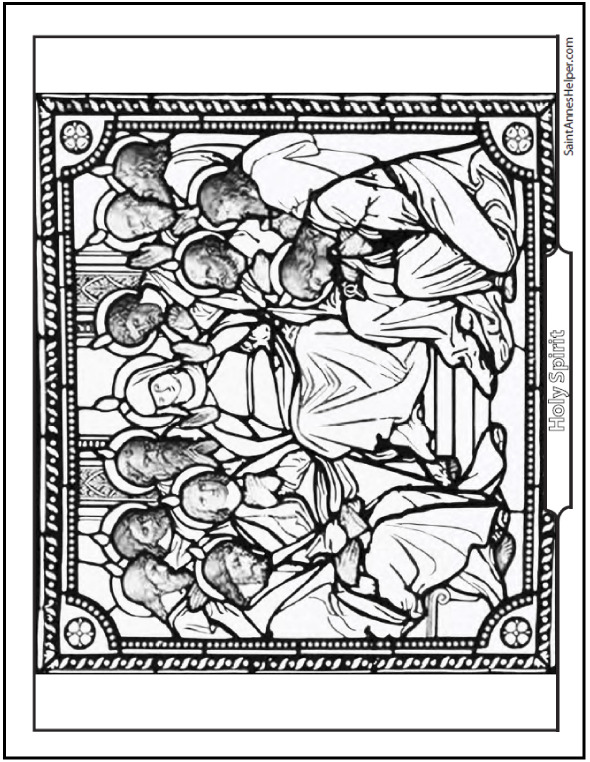 An image of the Descent of the Holy Ghost upon the Apostles and the Blessed Virgin Mary (from the Glorious Mysteries or Pentecost files) is handy to use as a present from little ones for someone who is receiving the sacrament of Confirmation. 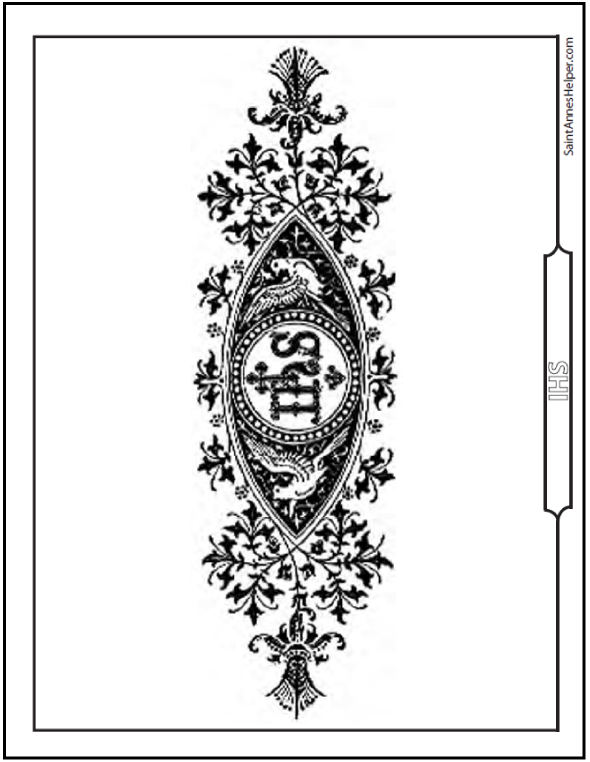 Use your printer's booklet setting to print a Confirmation card. 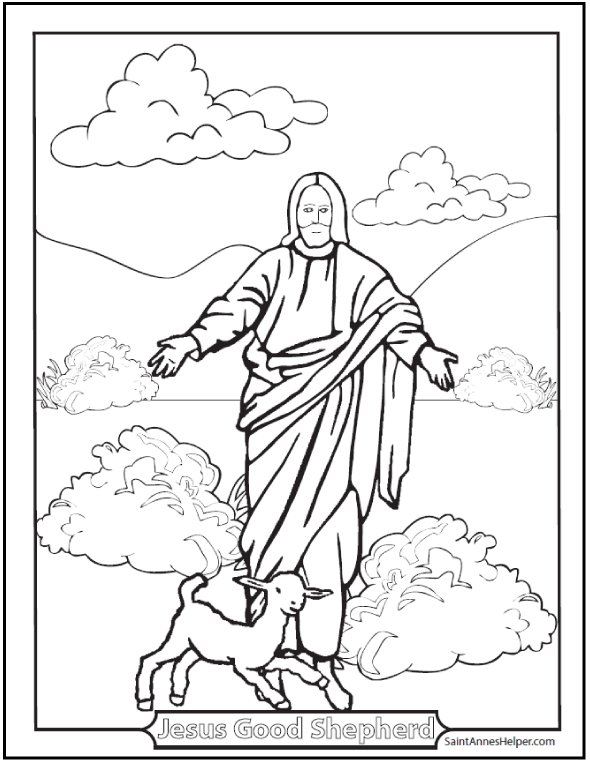 You can do the same with all our coloring pages. Have a holy day, saint's day, or feast day coming? 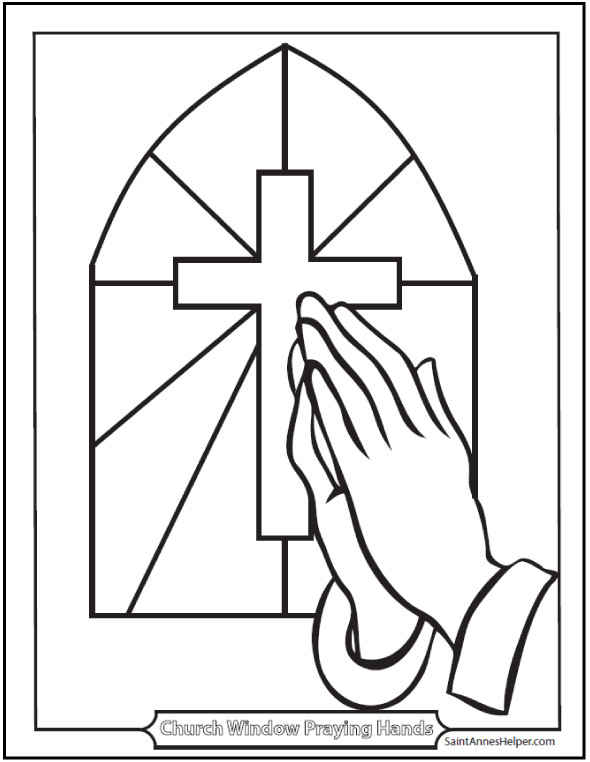 Use the Rosary and liturgical season coloring pages and the saints coloring pages. 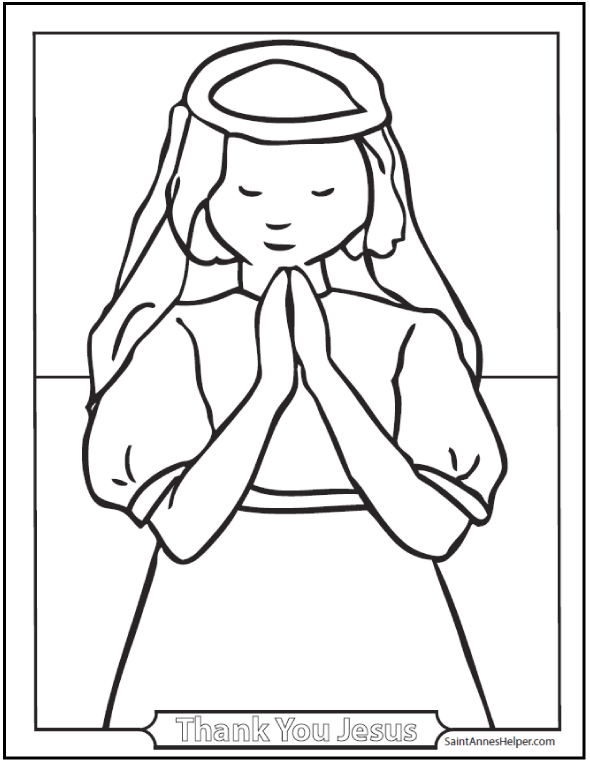 Not only can you print pages for many different saints, you can also make a booklet about the saint or feast day. 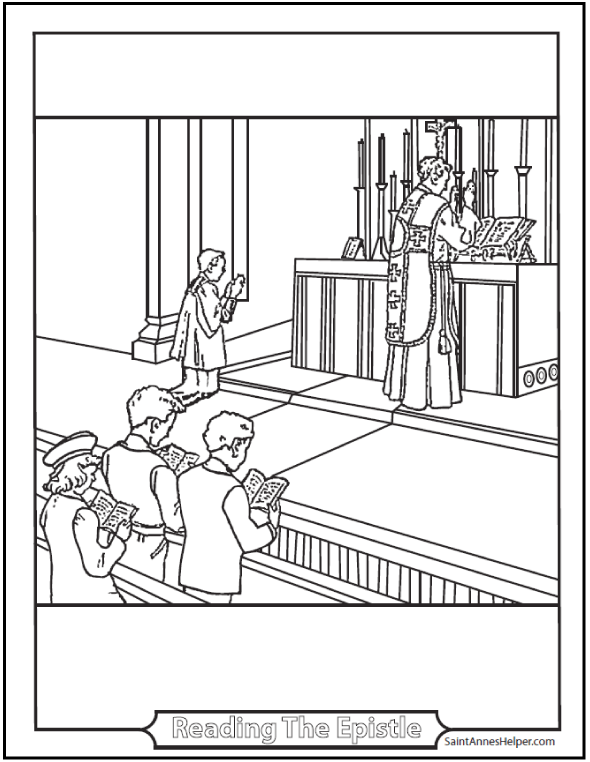 You can also use your printer settings to print multiples of the same image for holy cards. 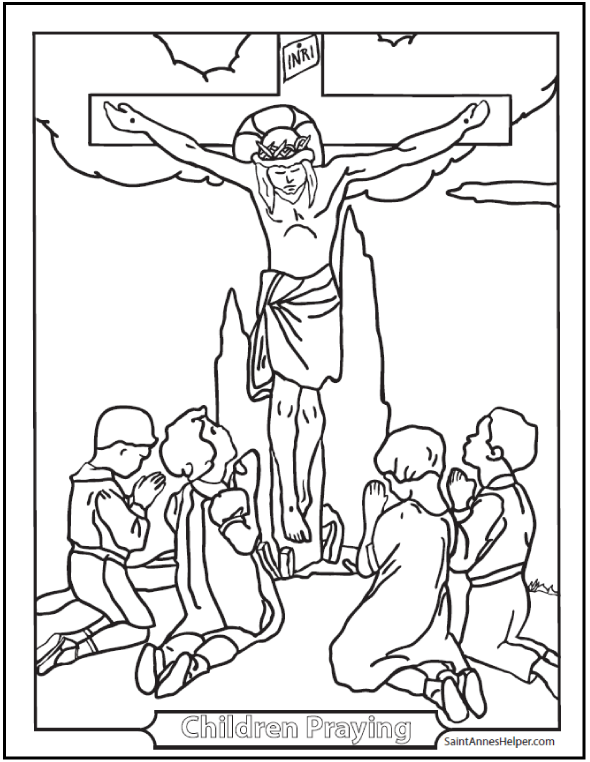 Coloring pages of Jesus are very helpful with little ones learning about Jesus in preschool, Sunday school, or home school. When they're learning about Him, pictures often teach best. 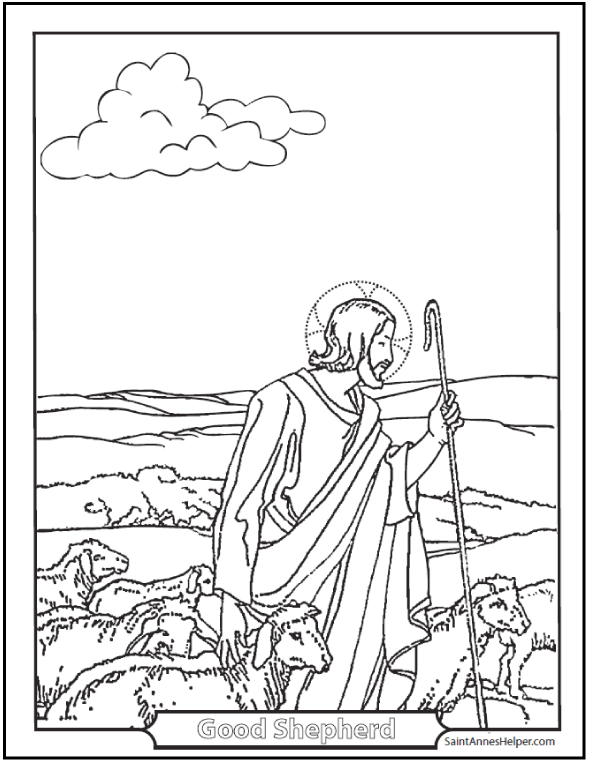 They can learn about Jesus as Christ the King of all things, Him as the Good Shepherd, and how lovely it was that He had Mary and Joseph in the Holy Family. 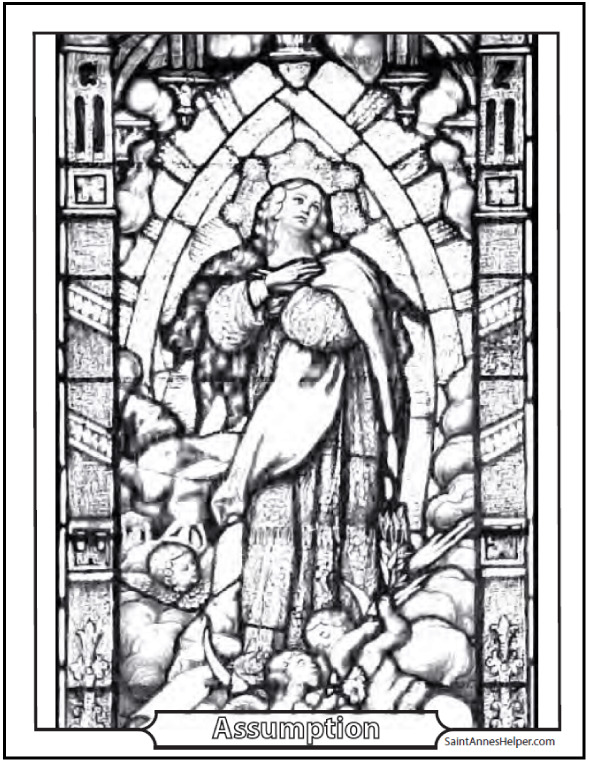 God chose to tell Mary about Jesus' coming first and He sent an angel to announce the coming of the Messias to her. There are all sorts of good stories about Mary and the Rosary tells them in a memorable way. 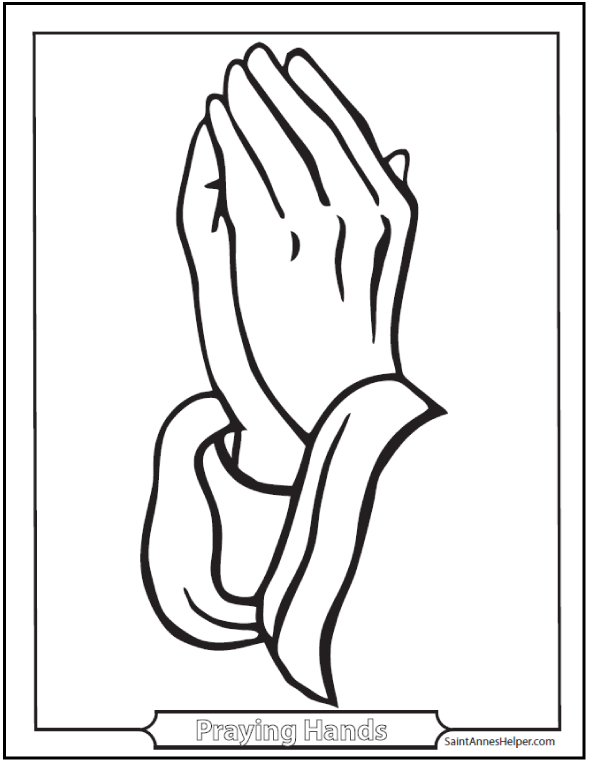 Catholic Saints - Mary in various titles: Fatima, Guadalupe, etc. 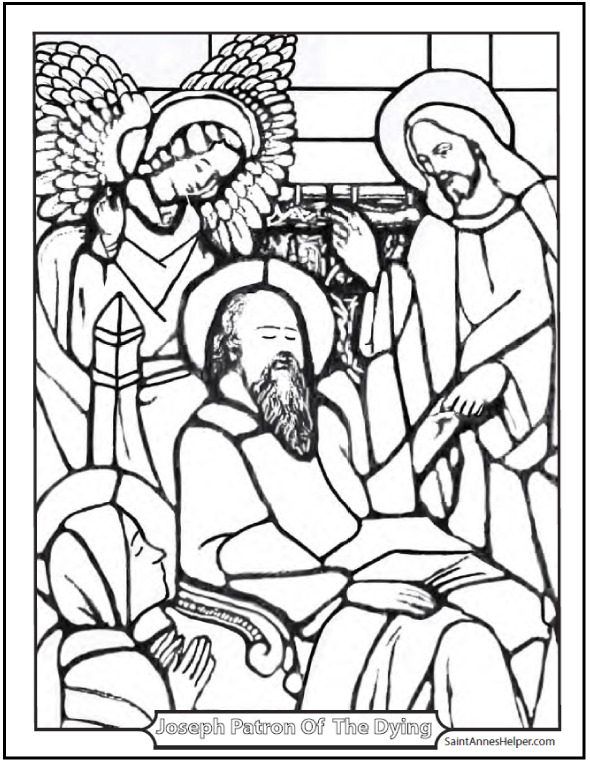 Christmas and Holy Family - Mary as the Mother of God. 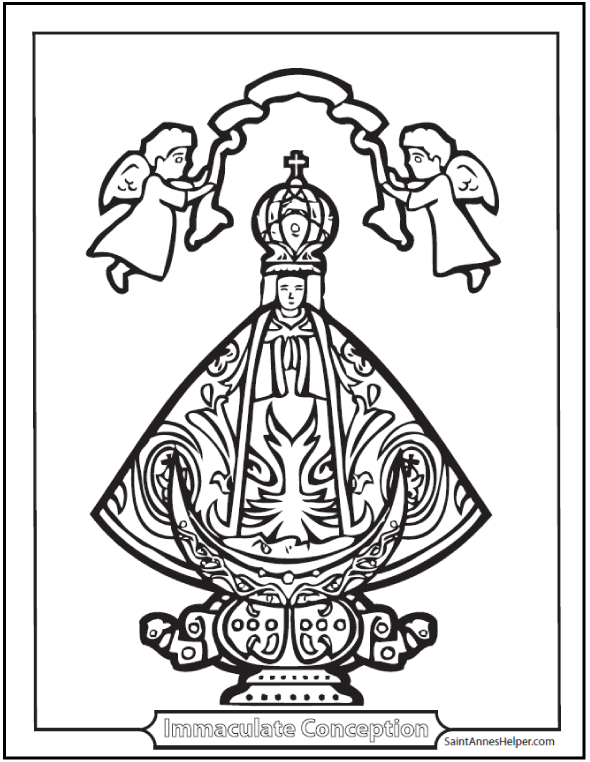 It is very Catholic to have bishops. 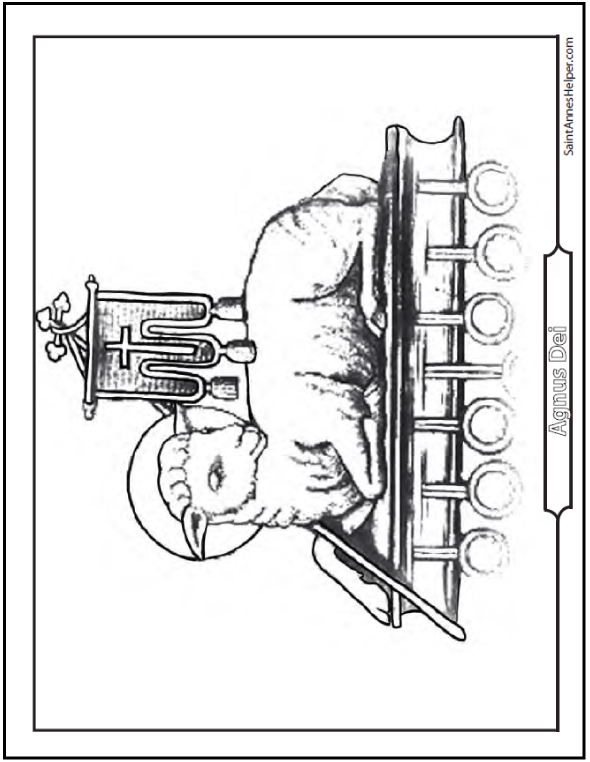 Jesus made each of the twelve Apostles bishops. These pictures help kids see what bishops look like today. 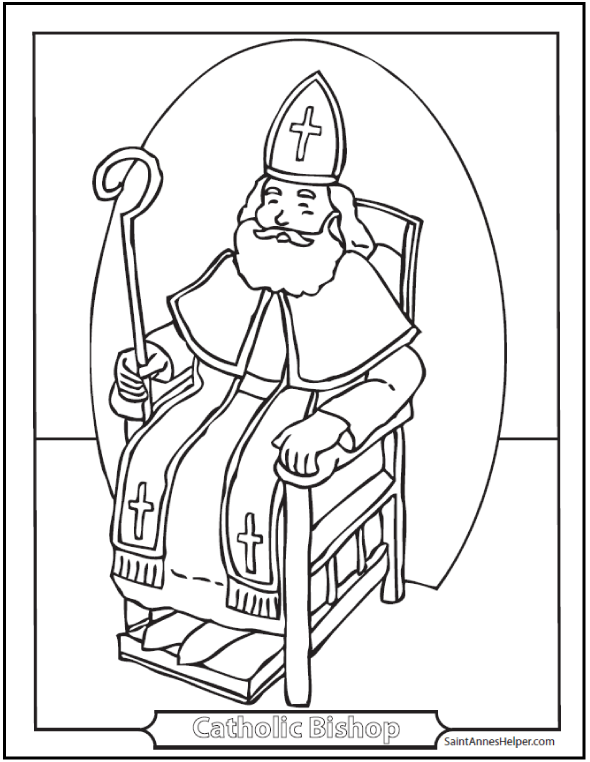 Actually these coloring pages can be used to color pictures of popes, cardinals, and bishops who were saints. 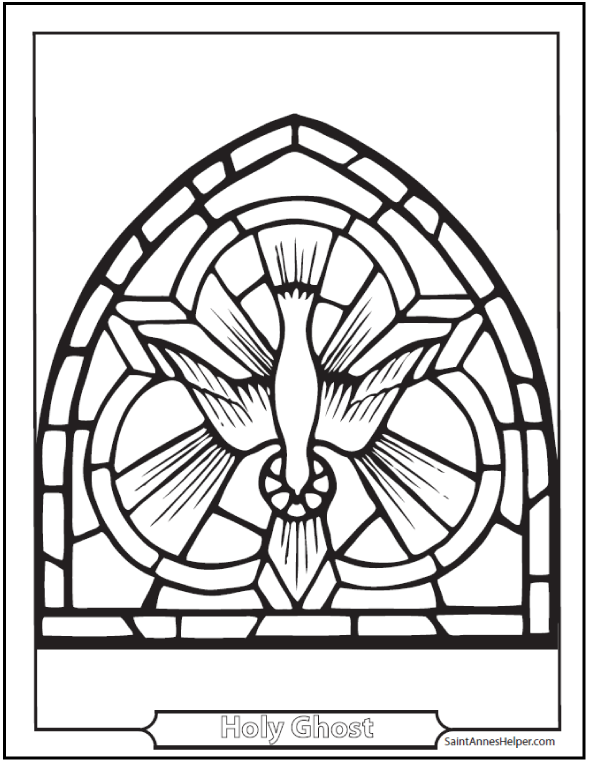 The dove is a symbol of the Holy Ghost as are the tongues of fire at Pentecost. 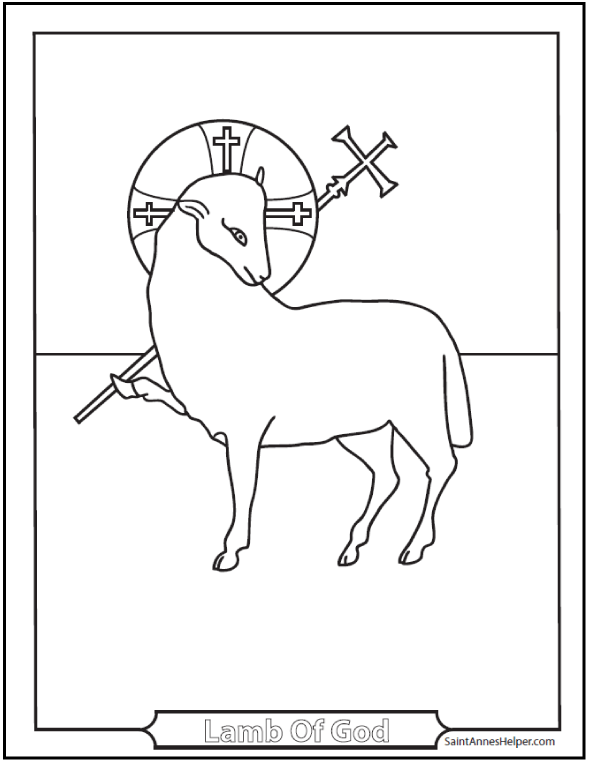 The Lamb of God is a symbol of Jesus and the Host and Chalice are symbols of Jesus in the Blessed Sacrament. 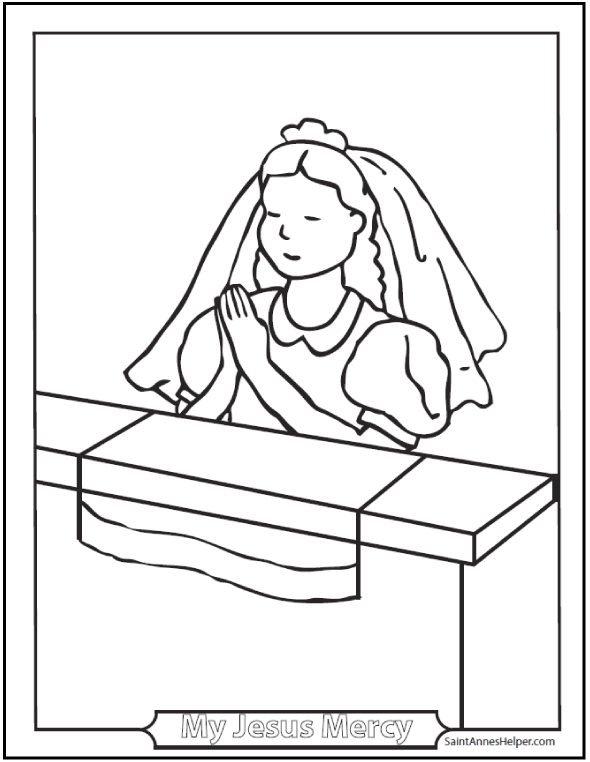 These make great coloring pages when children are learning about First Communion and Confirmation. 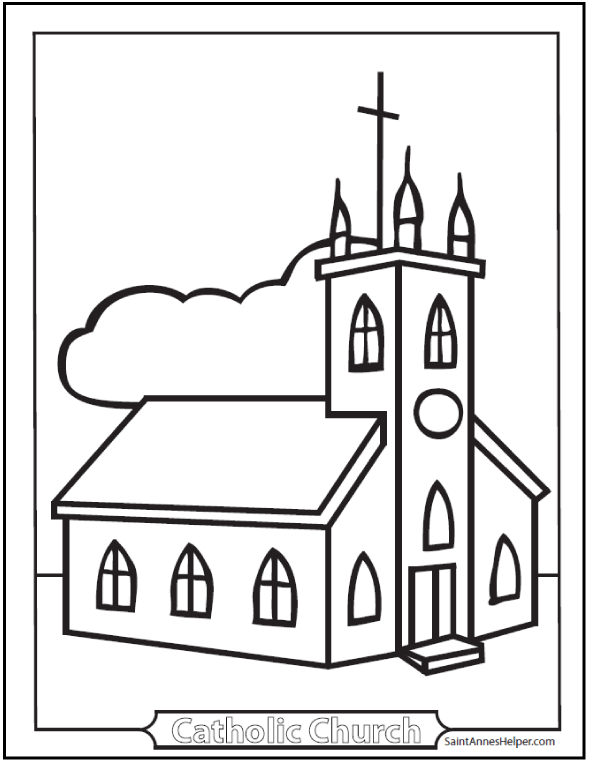 If you want worksheets and other downloads to help them learn the catechism answers, find them on our order page. 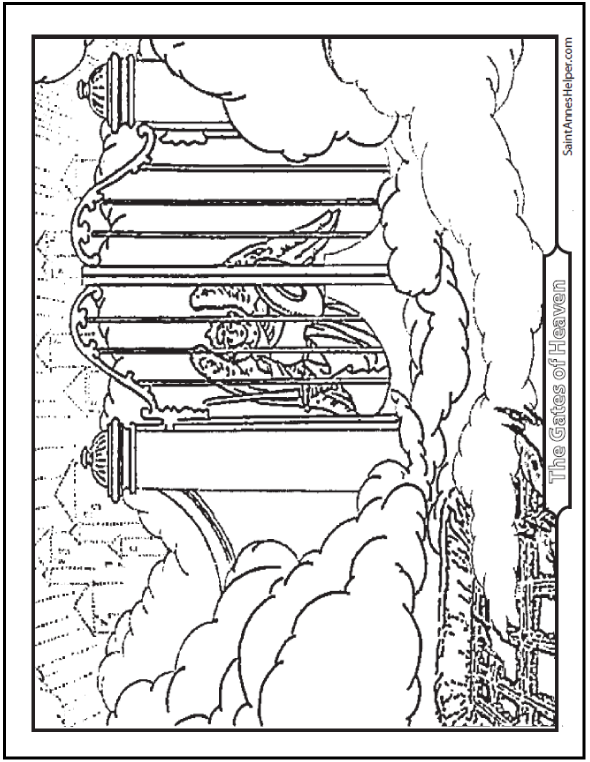 I wish I'd had these coloring pages when I was a child. It's part of why we've worked so hard to provide these for you and your family. We know what it's like to be able to have fun or impressive activities to reinforce what our children are learning in catechism and history class. 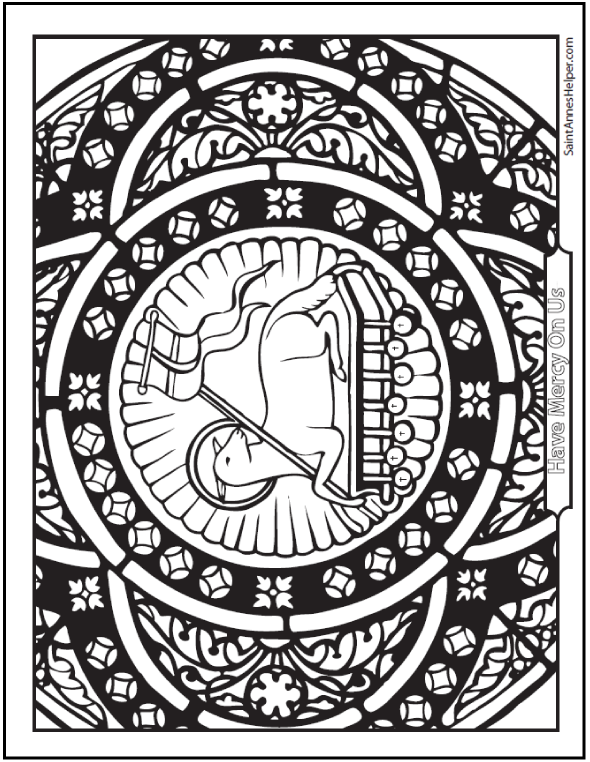 May God grant you many happy hours sharing these Catholic coloring pages with your children and grandchildren.